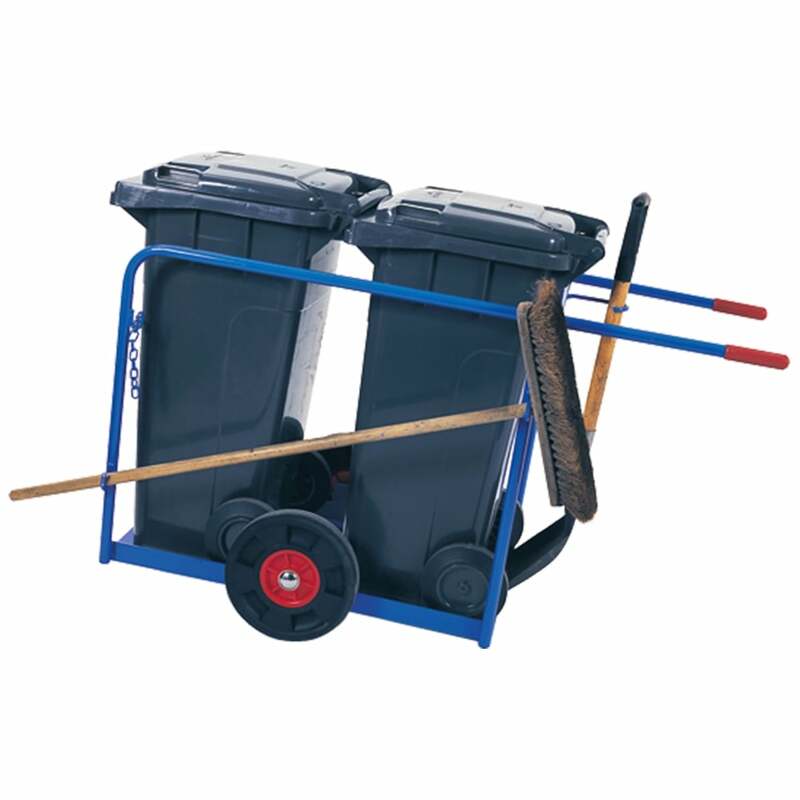 High capacity mobile waste collection. Robustly constructed steel chassis with tubular handles. Supplied complete with two 140 litre mobile waste bins. Large wheels for ease of manoeuvrability. Welded hangers to take brooms and shovels (not supplied). Plastic hand grips for extra safety. Bins can be loaded and unloaded for fast transportation to disposal areas. O/A Dim: 1400L x 675W x 900H mm. Wheels: 350mm Dia. Solid rubber tyred.